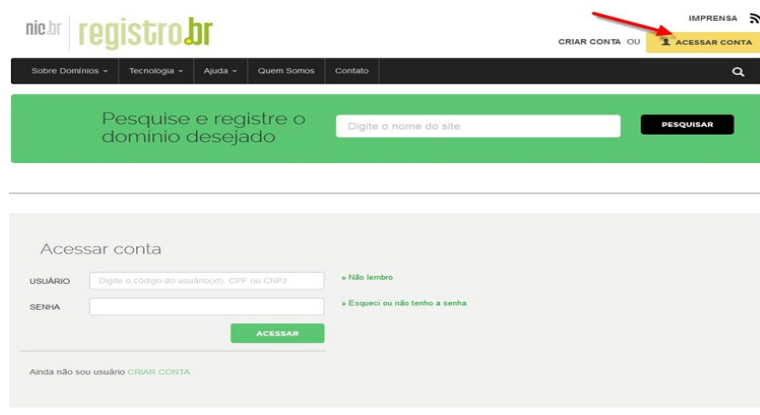 Go to www.registro.br and log in to your account with registro.br. 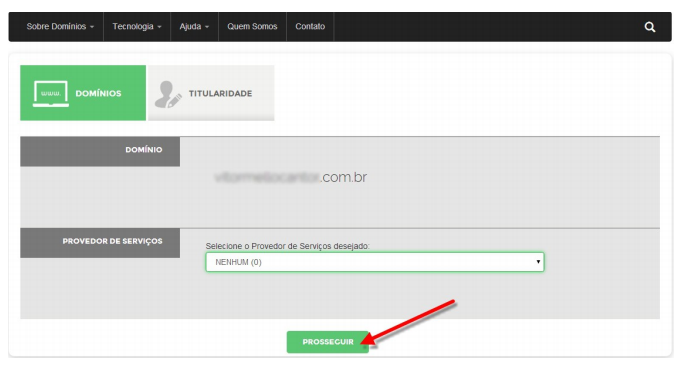 Do not create a new account nor request to create a new domain through Registro.br's interface. If you have any questions during the setup process, please contact us at support@one.com. 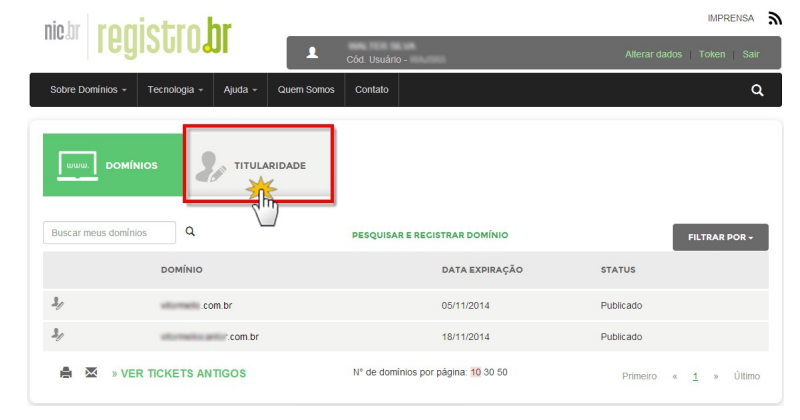 Once logged in, click TITULARIDADE. In the TITULARIDADE section. If you have several entities, select the entity that you wish to configure. 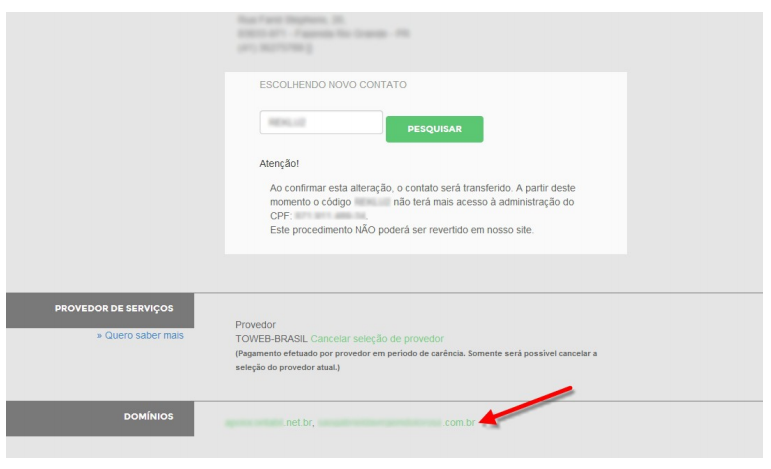 Then click on "Editar Informações". 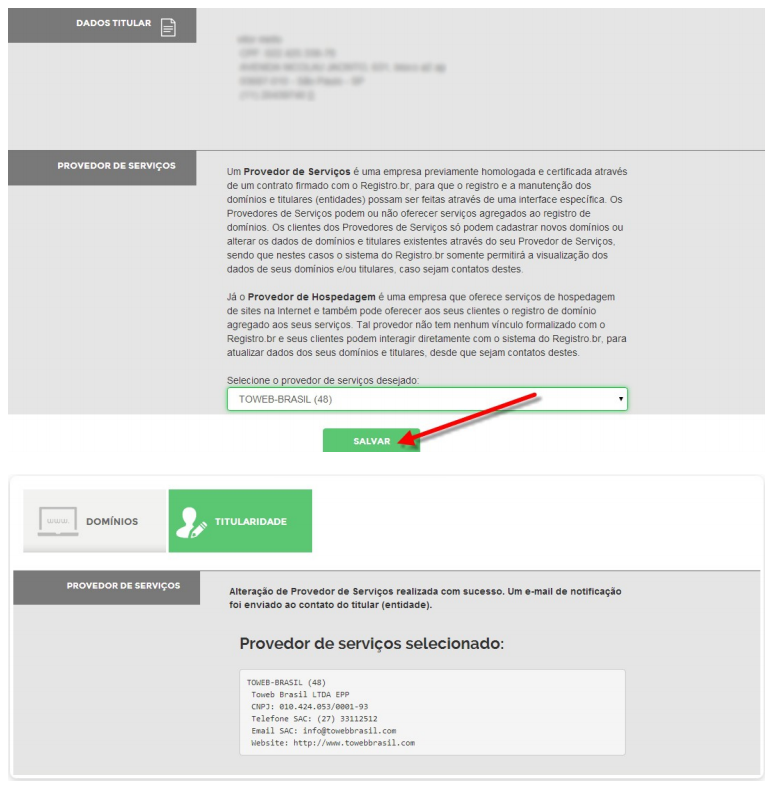 If you have any existing .br domains and want to keep them with their current service provider: Please take note of the service provider for your .br domains/entities, as you will have to select service provider for each of your domains subsequently! 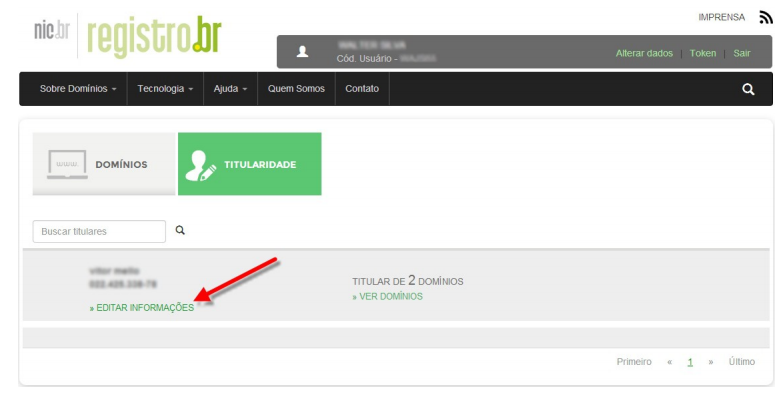 After selecting the new 'Provedor de Serviços', TOWEB-BRASIL (48), save the changes. Please contact us at support@uk.one.com once you have done this so we can register your new domain for you. If you have other existing domains, that you want to keep with the current provider, please also follow step 5-7 in this guide. 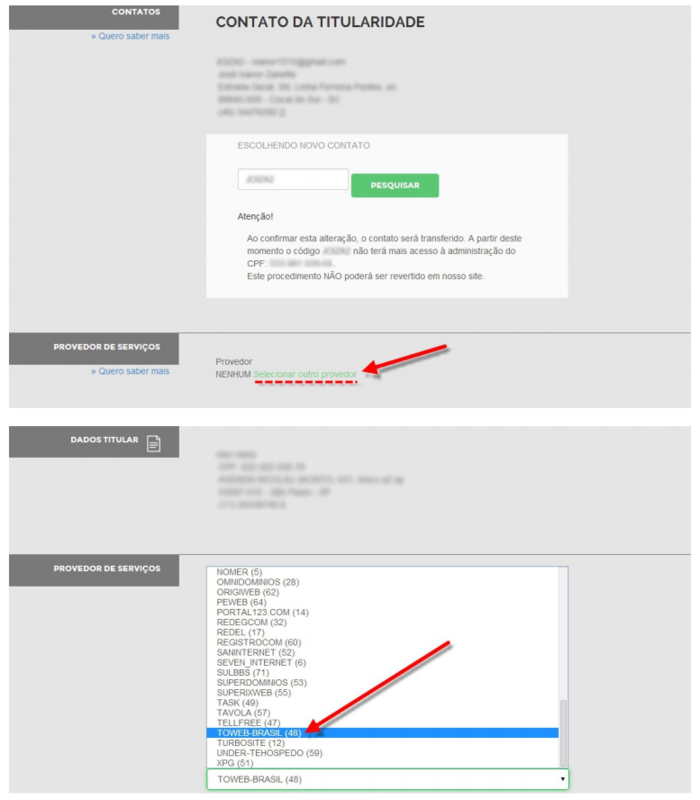 To keep your existing domains with their current service provider, you have to perform the provider alteration for every domain owned by the same entity separately. 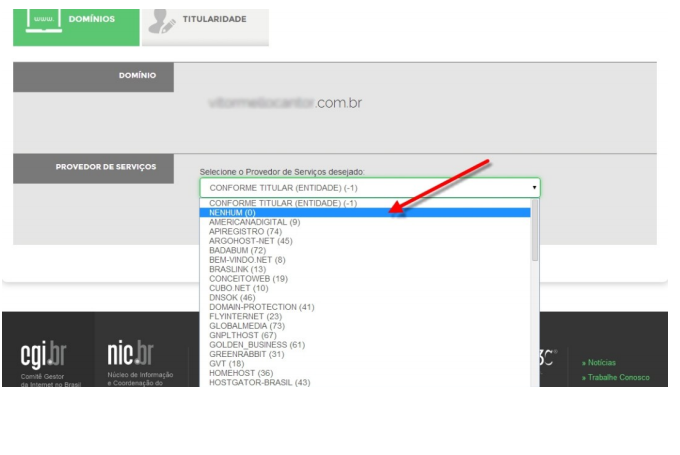 In the TITULARIDADE section, please select the existing domain you want to alter. Select the services provider you took note of in step 3 (e.g. NENHUM, UOLHOST, LOCAWEB, etc.) 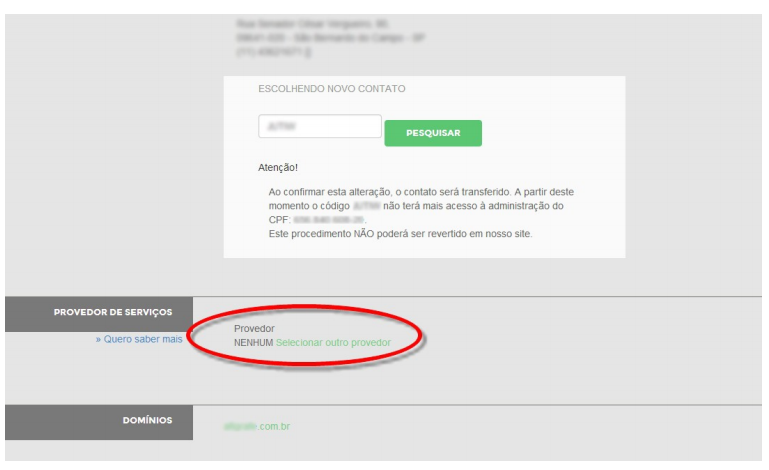 NOTE: The NENHUM (0) option means to use nic.br as your provider. Click on PROSSEGUIR. Repeat step 5-6 for all domains owned by this entity that you wish to keep with the current service provider. After performing the provider change, please send a message support@one.com so we can register your domain for you.